Swarovski always seems to be ahead of the curve. There’s no denying it’s a savvy business, which continues to keep its finger on the pulse. Why? Because it is committed to putting the customer first. This means adapting and evolving to meet ever-changing consumer needs. 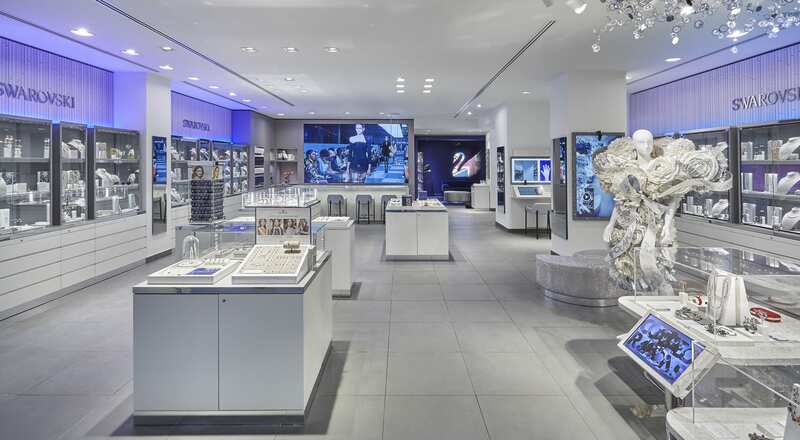 Whether that’s creating in-store theatre, merging digital interaction with the physical retail experience, or being savvy with data and going big on social media — if there is a shift in the way customers are shopping, Swarovski is willing to make a change. 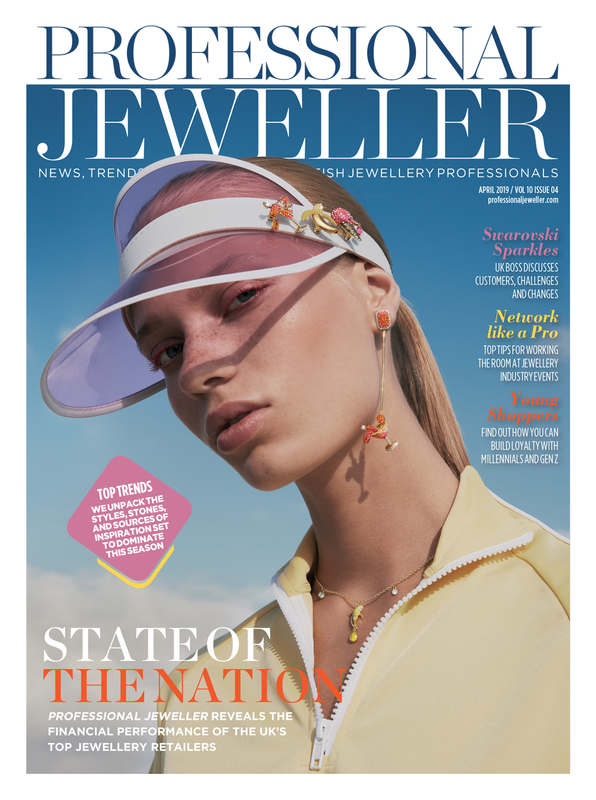 Here, Professional Jeweller editor, Stacey Hailes, sit down with the brand’s managing director for the UK & Ireland to find out what putting the consumer first looks like for the business today. How has business been for Swarovski UK over the last six months? Quite honestly, it has been tough. 2018 was tough. Like everybody we struggled with the massive decline in high street footfall. On the positive side, we did get significant growth in conversion, which was the result of a lot of new things we are doing, and we also saw very good growth online. But even those weren’t quite enough to compensate for the 10% drop in high street footfall. The good news is that the second half was better than the first half. Christmas was ok, and 2019 has started very nicely. So if I were to sum it up I would say challenging, but manageable, and actually sometimes when it is challenging it forces you to rethink the status quo and a lot of the things that we put in place during the back half of last year, particularly around consideration and conversion and the Oxford Street store, are really starting to drive results. What is Swarovski doing to stay fresh and relevant, and meet current consumer demands? The whole crux of the matter is that to exist going forward, you have to give the customer something that they can’t get somewhere else, and that will be different for every brand and every retailer. Every company will have to find what their niche is. 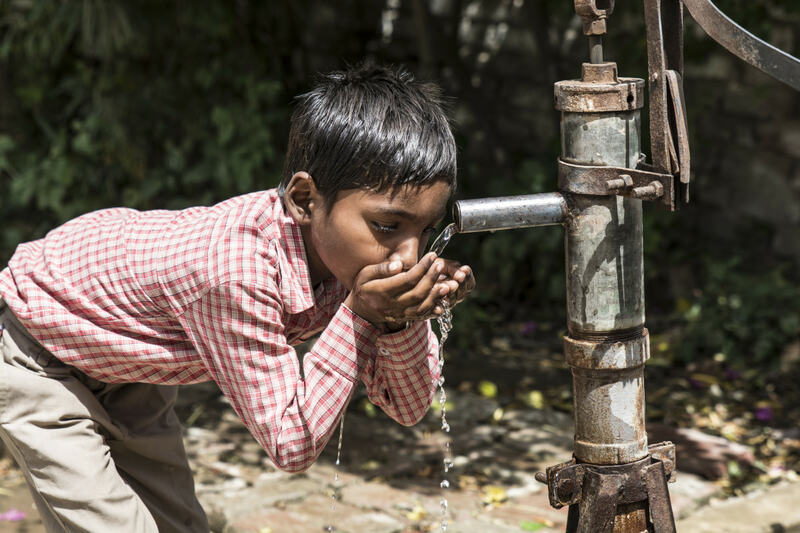 As an organisation we are absolutely committed to customer-first. We are prepared to make difficult decisions, we are prepared to be unpopular, and if necessary we are prepared to invest significantly in order to make that happen. It won’t all come today or tomorrow, but that is the future, and that is how you stay fresh and relevant for your consumer. What would you say is the key to surviving increasingly difficult trading conditions? Give the customer a reason to shop with you. You need to understand who your consumer is and anticipate their needs. The challenge, particularly for a big business, is to do that you have to do less. You have to do less far better than trying to do everything run-of-the-mill. The challenge is deciding what you are not doing in order to put all your efforts into doing what’s really important. What has Swarovski identified as being most important? What is really important are the things that drive the customer experience. For us that is all about the in-store experience and conversion. How do we excite the customer and get them to come back? How do we get them to consider the brand? It’s not about awareness, you can have the best brand awareness in the world but if the customer is aware of you and doesn’t like you, you are not going to win anything. It is about convincing them that you have got everything they are looking for. So it is really about driving consideration and conversion, and then it is about putting the systems and processes in place back of house to be able to consistently deliver it. So for us as a wholesale brand that is about giving our partners what they need to be able to give the consumer everything the consumer wants. How are you working with retail partners to propel business? It would be foolish and naive of any brand to assume their partners, whether that’s franchise or wholesale, aren’t feeling the strain because they absolutely are, and actually to a higher extent, they are less able to bend with the pressure than the bigger retailers are because they’ve got so much less room to manoeuvre. Obviously, as a big brand, the consumer consideration has got to come first for us — so driving consideration, loyalty, and engagement with the consumer has got to be our number one priority because if we don’t deliver that it doesn’t work for anybody. However, after that, there are so many things that the brands can do relatively easily, such as working with partners on stock turnover, reducing their open-to-buy, helping them flex their cash flow, and helping them plan for things like Brexit. Making it easier for them to do business and ultimately providing them the tools and the services and solutions that help them serve the customer better. So it’s two levels — one you’ve got to deal with the customer, you’ve got to keep the customer happy; and then two really is just doing the basics well. We were incredibly proud to be voted the Fashion Jewellery Brand of the Year at the Professional Jeweller Awards last year because it was voted for by our partners and that’s a really incredible accolade and recognition to get, so although we know we are not perfect and we make mistakes. I would like to think we are doing the basics reasonably well. It doesn’t mean we don’t have to up our game or try to be any better, but fundamentally you need to look after your customer number one and your partners number two. 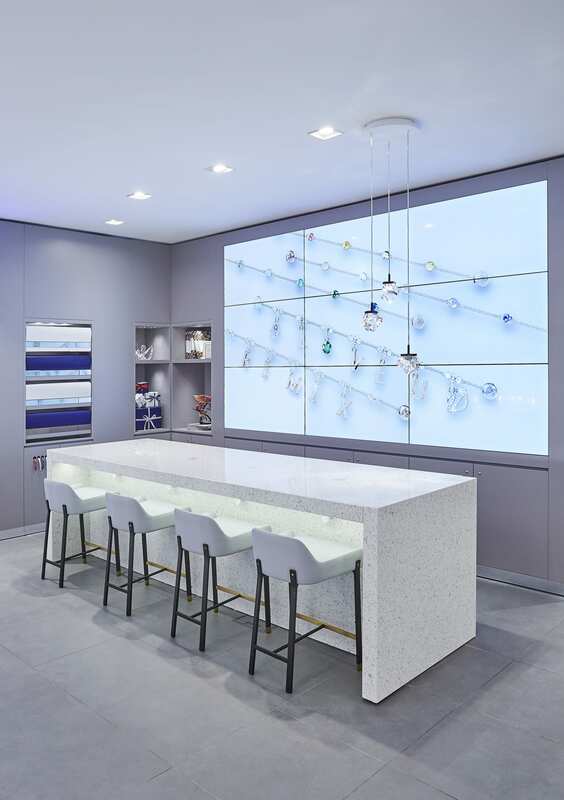 Swarovski has been using its Oxford Street store to experiment with the customer experience. Are you facing any new challenges with retail partners? I don’t think there are any new challenges, it is just more heightened. Cash flow is a fundamental challenge for them at the moment. 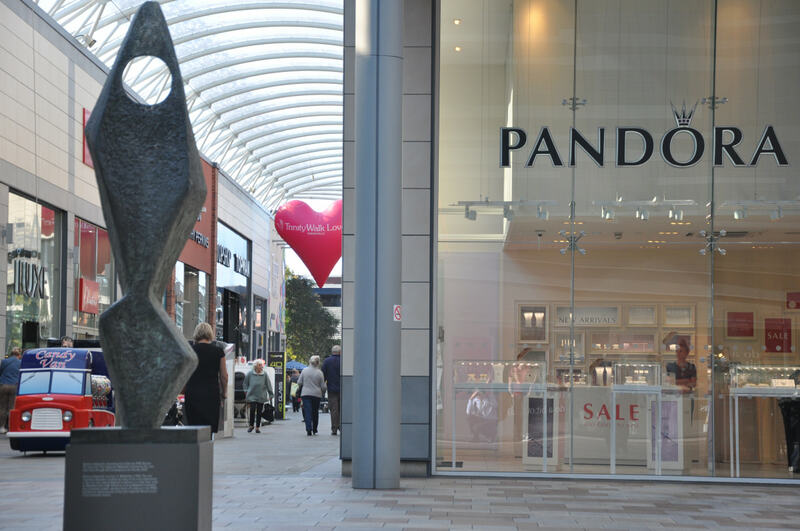 Footfall is down, sales are down, business rates have gone up, so on and so forth, and the profits are getting squeezed in the middle. It isn’t just about margins. It is about how they can manage the peaks and troughs of their businesses. We were talking earlier about the concept of having one or two big buys a year, but partners don’t have the cash flow to do that, they just can’t make that happen. Regular little monthly buys, where you can literally buy next month’s stock with what you have taken this month, that is how you help them manage cash flow and it is those sorts of solutions moving forward that we can do as a business to support our small partners. You revamped the Oxford Street store recently, what has the reaction been to this? The first point I have got to make is it is not a new look — it does look slightly different in the sense that we have changed some lighting, but conceptually it is the same look. What’s radically different is that we are using it as a global test bed for everything to do with the customer journey. So the whole concept behind the store was — let’s test every idea, innovation, and concept that we can come up with in a store and wait and see what happens. Is it working? Yes and no. But actually where it doesn’t work we are learning what elements the consumer responds to and what elements the consumer doesn’t. The sparkle bar, where we have the mobile phone testing station — customers love. Something as simple as that increases dwell time and gets people to sit there perfectly happy for us to demonstrate product to them while they are waiting for their phones to charge. Some of the little elements like the phone booth and selfie walls gets groups of customers taking pictures of one another and sharing it, so that’s been amazing. Some of the bespoke product that we ordered, such as the Big Ben, has been a bestseller for the whole UK business. So we have learned an awful lot of things. It is really about testing consumer interaction and the consumer journey. How do we get customers to want to come to store and spend longer in a store and to spend? And then also, how do we get them to integrate between online and offline much more seamlessly? So a lot of the things like the selfie wall and virtual reality is really about encouraging this omnichannel interaction. In terms of how it is work, the growth is nearly treble the company average. We have very heavily invested in the sales team in terms of quality and the quantity, and they are driving a 25% higher average sale. The return rate is significantly higher and the spend on our loyalty programme is 15-20% higher than it is elsewhere, so we are starting to get the types of results we wanted. Do you think some of the concepts only work because it is Oxford Street? Some of the concepts in their current form, possibly, but that doesn’t necessarily mean interactive concepts don’t work. We have learnt that when we give customers a game to play or something to interact with — they get really excited. Whether that is jumping on coloured squares on a shopping centre floor or playing games on an iPad, the customer loves interacting in one way, shape, or form. What we haven’t quite learnt is what is the best mechanic to do it. So I would say we have tested the proof of concept. Now we have got to work out how that concept is delivered. How does the new flagship represent the future direction of Swarovski’s retail arm? It’s not just all about what happens in front of house. The next step for us is making some radical changes to things the customer will never see such as Epos solutions, mobile payment solutions, and efficiency solutions in terms of the way we manage things like click and collect and click and reserve. Hopefully the customer won’t ever know that we have gone through this massive change, but we need to make that change to be able to really realise the benefits in terms of improving the consumer proposition. So the first step was the investment in the customer-facing element, but now we’ve got to do some quite big investment in some of the behind the scenes. You cannot underestimate the importance of this. Consumers are fickle; you can offer them the greatest experience but if you haven’t got the product that they want or the item they ordered online, if you don’t get the basics right, it is game over. The one thing omnichannel has done is it has raised the minimum level of service that a consumer expects. So what was added value five years ago is just table stakes — if you can’t do that you can’t compete. How do you cultivate a seamless experience through all the brand’s different channels? That is the six million dollar question and the answer is it is really, really, challenging. I would say there is a number of things — first of all you’ve got to get the basics right. Unless your systems are stable and meet the basic expectations of the consumer, then there is no point having the most wonderful, innovative, digital app. Then we need to digitalise the service proposition that we offer to the consumer. 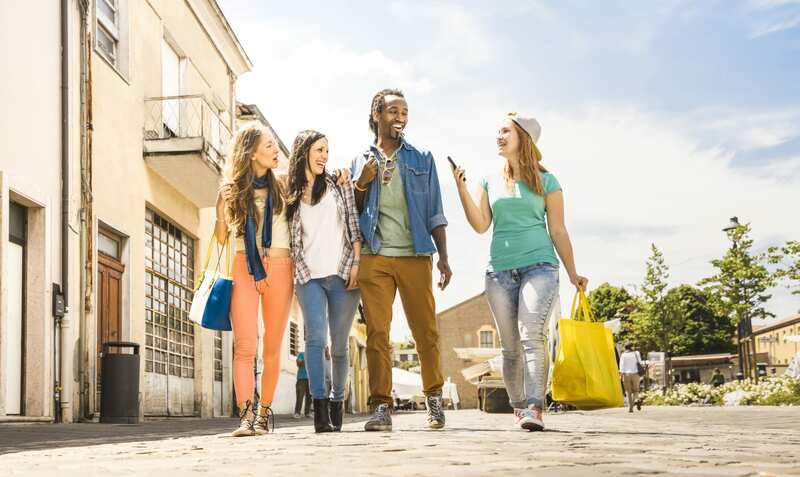 There is a lot of talk about things like big data, the modern customer expects their favourite brand to know what product they have been looking at so that when they go into a store that product is available for them. Our vision long-term is that the consumer gets the same experience wherever they interact with the brand, regardless of the channel. 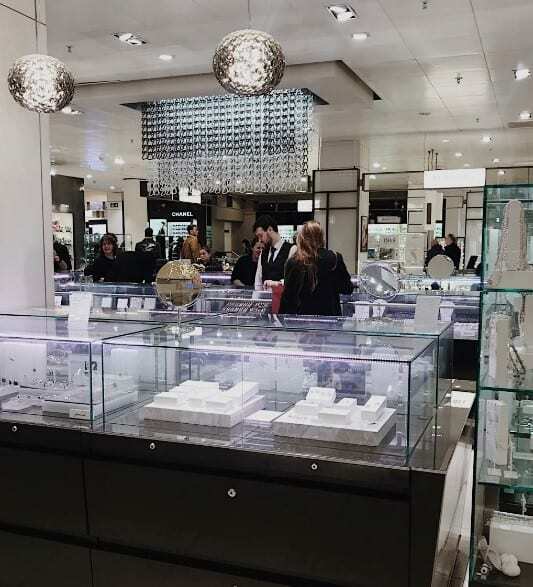 So wherever they are interacting with the Swarovski brand, in our own store, a franchise store, or a wholesale store, they get exactly the same consumer journey. That is where we would like to get to. It is a big ask, and it is difficult — there is a million and one things that need to be fixed, but none of it is unfixable. It’s just having the commitment to having to want to do it. 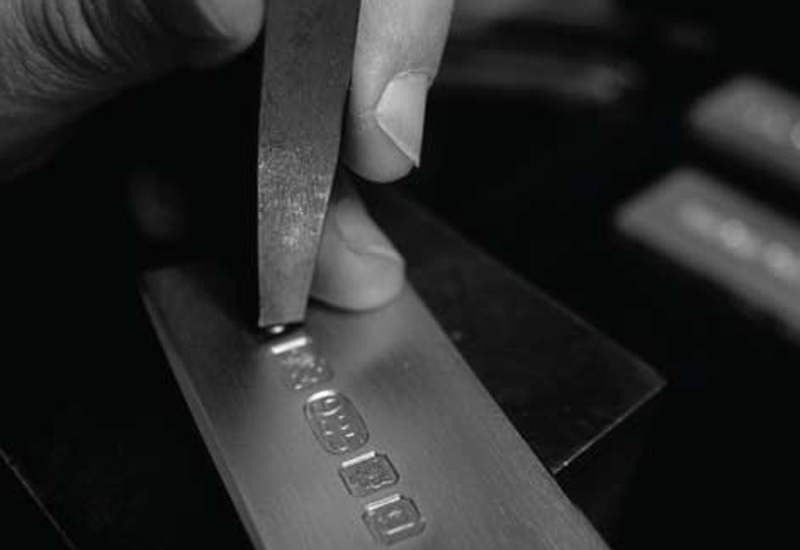 How important is digital to the Swarovski UK business? About 20-25% of our business is online and it is growing. That includes what I would call the omnichannel purchases. So there’s a lot of things that start online and end up in the store, and vice versa, but that’s all included in that 25%. The biggest growth area is in things like click and collect and click and reserve. So actually, whilst the growth is coming from online, it is the omnichannel online services driving growth. Ironically, the more online savvy we get the more it is dependent on stores. This is one area where I still have some heated debates with partners — online and offline are not competitors. They are absolutely mutually beneficial. If you don’t meet the consumers’ expectations you can’t play the game. And these days, if you can’t have a seamless online-offline offer, then you are in trouble. And it is tough. 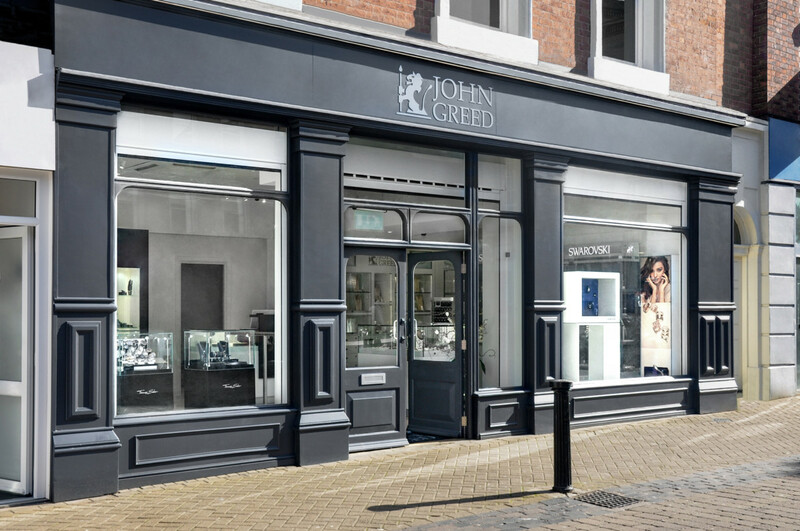 But I think we are going to see, even for independent jewellers, the online and offline worlds coming much closer together. Swarovski aims to be a brand for all women. Do you have any plans to revamp and/or open new stores in the UK this year? We are actually opening three as we speak — Edinburgh, Peterborough, and Rushden lakes. We’ve also got one quite high profile re-fit coming up and we are doing four refurbishments this year. We’ve got quite a bit in the pipeline, but we have taken our foot off the gas because of the implications of Brexit. We’ve got some that will happen literally over the next few months that are well progressed, the rest is very much a part of our strategy but we need to understand what the next few months look like first. We won’t necessarily be looking to open hundreds of new stores, but we are looking at areas of the country where there are opportunities, and we will be looking for better locations, different size stores, and more cost effective stores. So there will be quite a lot of activity but we are not going to open 40 stores in the next two years. You work with local ambassadors, is this working well for building brand awareness and customer engagement? Our strategy is not about building brand awareness, we’ve got good brand awareness, it’s about giving the consumers a reason to enter into a dialogue, a conversation, an interaction with the brand, and using brand ambassadors helps you start that conversation. Now this is a bit of a double edge sword because you have to find brand ambassadors whose values resonate with the values of the brand. Nothing is worse than a brand ambassador that doesn’t quite gel. The secret for both parties is that both people have got to get something out of it. We’ve got to be able to help support them tell their story and they’ve got to help us tell ours. So we’ve been lucky. We do work with an agency to help find really relevant talent and I’ve got to admit that’s brilliant, it works very, very well, but also the team here put a lot of time and effort into building relationships with the ambassadors we work with because we want it to work for them, because if it works for them it works for us. So brand ambassadors is part of the overall marketing strategy. We worked with some absolutely fabulous people last year and they really helped us achieve our objectives. We’ve got some interesting, slightly different approaches for this year, but we will be continuing with exactly the same strategy and I would strongly suggest if anybody else is thinking of doing this, it is fabulous as long as the relationship is right. Don’t just do it because brand ambassadors work — it only works when they are the right people for your brand or your business, and you are right for them as well. You experimented with interactive installations last year, how did that work for the brand and how will you be building on its success this year? We are on a bit of a journey with this one. So we know consumers want interaction, but I want a return on investment. Sometimes it is quite difficult. We’ve found it works when we use interaction in such a way that we then drive customers into store. For example, with the Remix campaign consumers created their Remix style on a big screen with an iPad and everything else, but then we invited them to pop into store and see if they had won what they had created. When you are able to tie the in-store and out-of-store experience together, that’s when it really works. So yes, we will absolutely be doing more of these activations this year, but the secret is how we do it in a way that’s meaningful for the consumer? If we make it uncomfortable they won’t participate, but if we don’t get some online/offline interaction, then we won’t get the return on investment. On broader terms, what’s Swarovski UK’s main focus for the next 12 months? Quite simply — conversion. For all channels. So we know high street footfall has declined every year since 2007, and I have absolutely no reason to believe that decline won’t continue. So if our business model is to remain viable we have to work harder with the consumers that we’ve got. So everything, regardless of channel is about conversion. How do we get more customers to consider us? It’s all very well and good if you know about us, but how do we get you to engage? How do we get you back into a store? How do we make sure you engage with us and hopefully shop with us online or offline when you have been scrolling through your Facebook? So there is only one focus, and it is about driving consumer conversion. But that’s not just for our own stores — that’s online, that’s for our wholesale partners, that’s for our franchise partners. It’s about really committing to 360 degree solutions because that’s the only way that all of our business will survive into 2020 and beyond. What areas have you pinpointed for growth? Yes, all of them, but it may be in slightly different ways. As I said earlier, for our partners it is about helping them manage their cash flow — put the money in the right place and invest in the right things. For our retail stores it’s about being a bit more innovative with our consumer journey. So it is a combination of solutions but ultimately we’ve got to get fewer customers to spend with us more often. The sparkle bar has been a business boosting addition to the Oxford Street store. Do you have any initiatives planned for 2019 that you can share right now? Yes, the first thing is a digital-first mindset. So you will probably see less investment in things like TV and print because they are just not delivering the sorts of returns anymore. But, far more investment in digital and social, particularly interactive digital and social. So we are looking at big, national activations in April/May, which will be heavily backed up with digital media. We’ve also got some very exciting potential influencers if we finalise all the contracts. So a similar story of empowerment. Stories of how women are really making their mark in their particular field. So we’ve got some unusual career fields to focus on. And, above all, we will continue our 360 degree thinking. 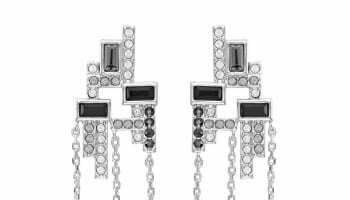 We have some quite interesting, trend-led collections for Spring and Fall, and we have a major collaboration which will probably launch in October, and it will work across everything from Atelier Fine Jewellery right down to very affordable trend-led Swarovski pieces. So, nothing revolutionary, but I am a passionate believer about continuous improvement. We did some really great things last year but we can’t just do what we did last year. We need to take the foundation and build upon it. So you are going to see nothing radical or revolutionary, but what you are going to see is us getting better and better at the things that we have been doing. So we will absolutely maintain our focus on customer-first, we will absolutely maintain our focus on our people and on the people who represent our brand across our partners — so more training, more marketing investment, and better tools to help them deliver a better experience to the consumer, all backed up with the sort of personalised, interaction that today’s consumer wants. The only thing I would add is, I have been in retail 30 years, I have now been at Swarovski ten, it’s a really, really exciting period. 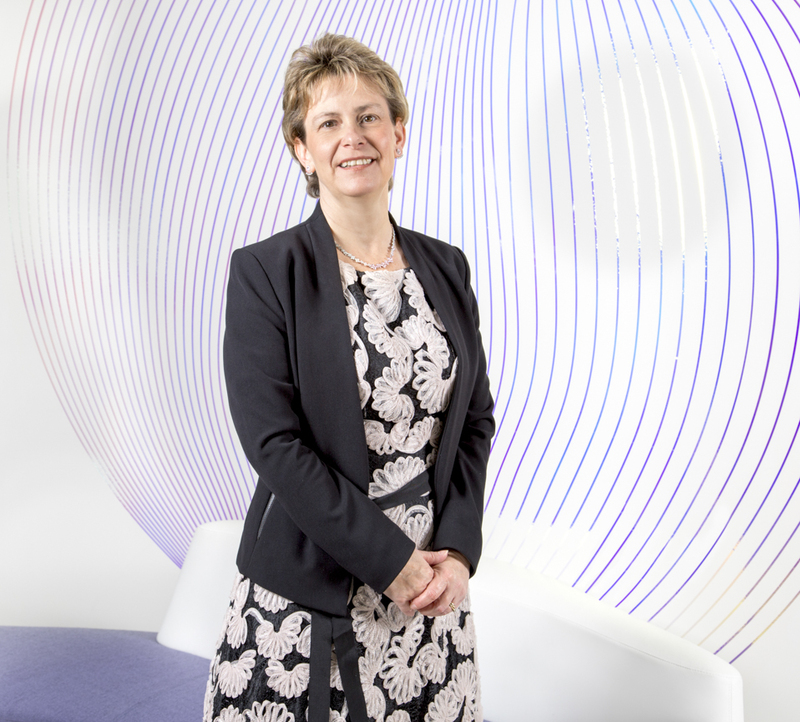 Yes it is challenging, but necessity is the mother of invention, and I think when we come out of this challenge – whether that’s the footfall, omnichannel, Brexit, or a combination of them all – when we look back in two or three years’ time we will see just how much of a spark this was for a whole new step in creativity and innovation in our environment. So I am excited, we are trying to push those boundaries, and to be fair when you are part of a huge organisation, you are also restricted. We can’t completely go off the wall because we’ve got a global brand to consider, but for some of our partners this is a real opportunity to be very innovative and very inspiring. They just need the confidence to do it. The ones who are prepared to take a risk and step out of the norm will be the ones to lead the industry in the next direction.